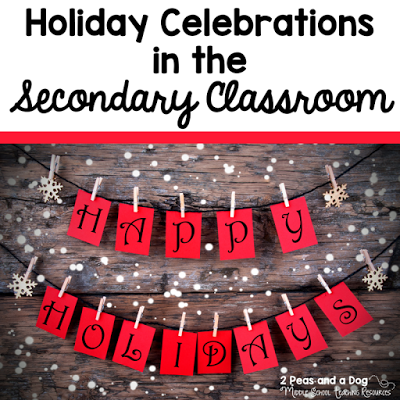 Holidays in secondary classrooms can be a challenge because you don’t want activities to seem too young or boring. 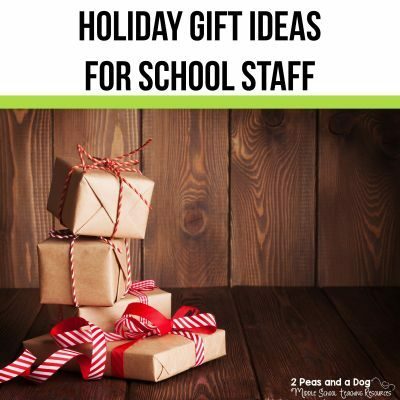 Check out what other teachers are doing to make holiday celebrations fun in their classrooms. Q1: Does your school celebrate the holidays? With what types of events or activities? A1: As a school, we have a holiday concert where the choirs and bands perform. Then we have a school-wide sing along on the last day before holiday break. 1: Our school doesn’t officially celebrate Christmas or not celebrate Christmas – it’s more of a classroom thing. We’re reading A Christmas Carol. A1: We also added a family gingerbread house making night. 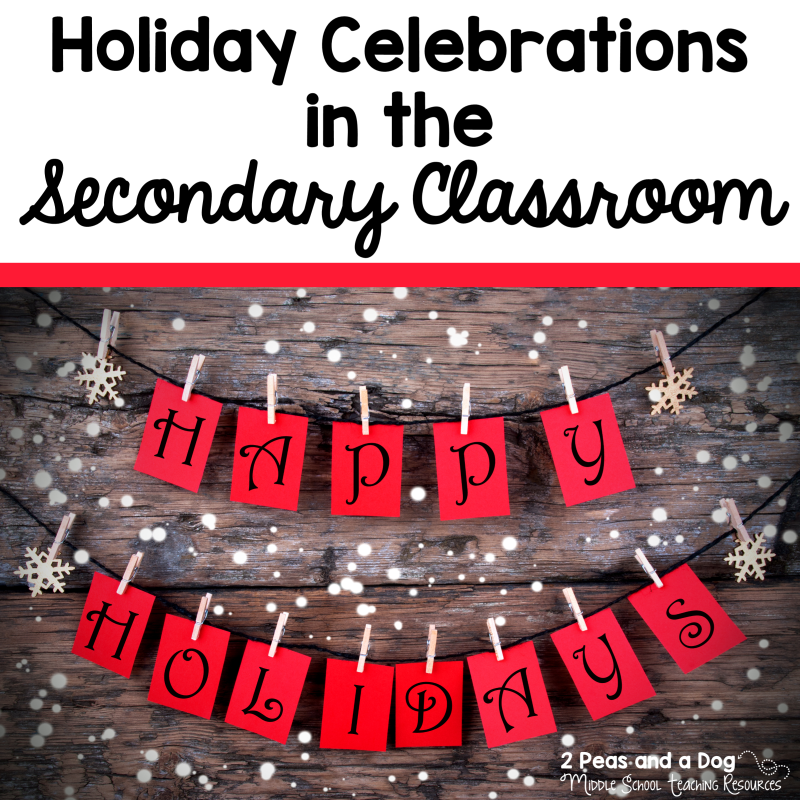 Q2: Do you celebrate the holidays in your classroom? With what types of lessons or activities? A2: I love reading the play version of “A Christmas Carol”! Q3: How do you keep students focused on curriculum during this month which is filled with special events and activities? 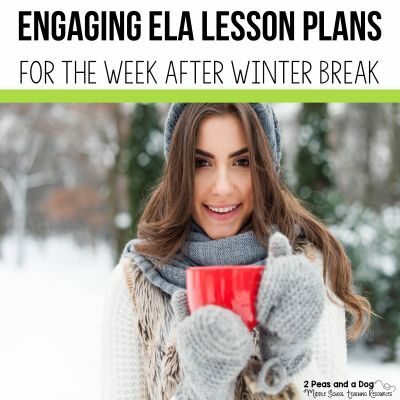 A3: I teach real content and keep up regular routines until the last day of school before holiday break. 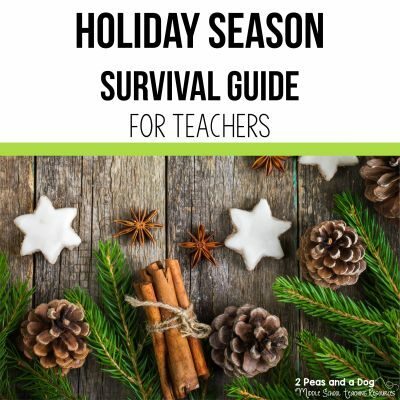 Q4 & Q5: Share some resources for helping students think beyond themselves during the season of giving (e.g. blog posts, Pinterest ideas). A5: I’ve also tried “Paying it Forward” with classes. One year we sang at an assisted living and made “grandfriends”.